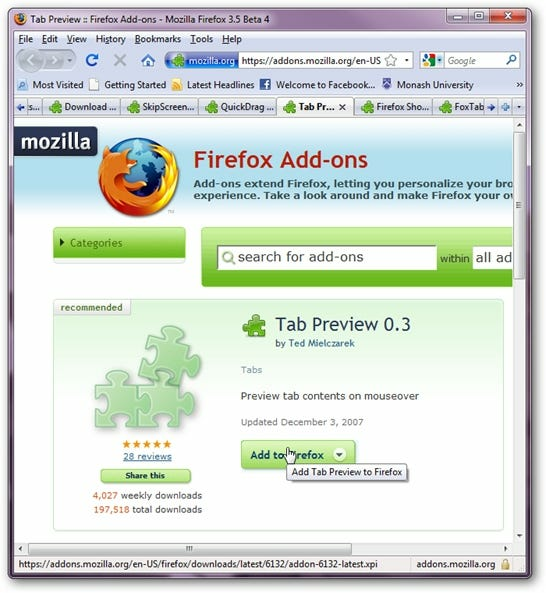 For many, Windows 7 has changed quite a bit about our browsing habits. 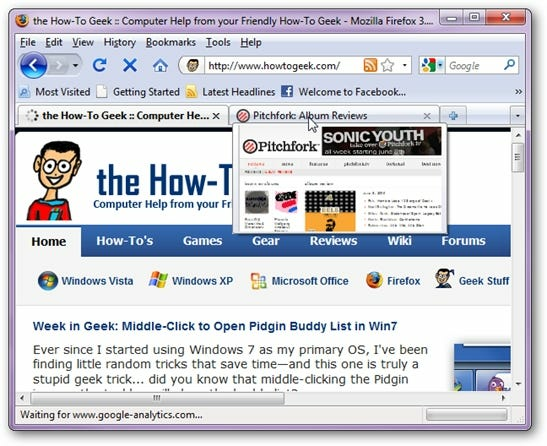 One of the most useful features has been the ability to distinguish between pages quickly by using taskbar previews. Sure, this did exist in Vista, but most disabled it due to its inefficiency. Now, however, it has become an integral part of our collective browsing experience. The advent of tabbed internet browsing has meant that we are not afforded this advantage when browsing online. Annoyingly, we are forced back to the open-and-see approach until we eventually figure out what that website was called that we wanted. Tab Preview 0.3 addresses this issue. 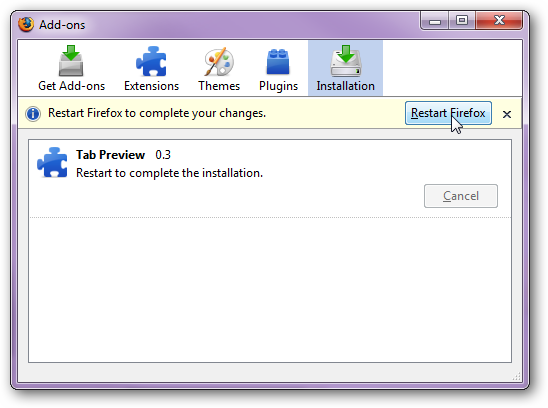 You’ll have to restart to complete the installation, as with all Firefox extensions. If you’ve never clicked it before, click the little check box that says “Do not ask me again” when this message comes up – it will save you a few annoying clicks in the future. 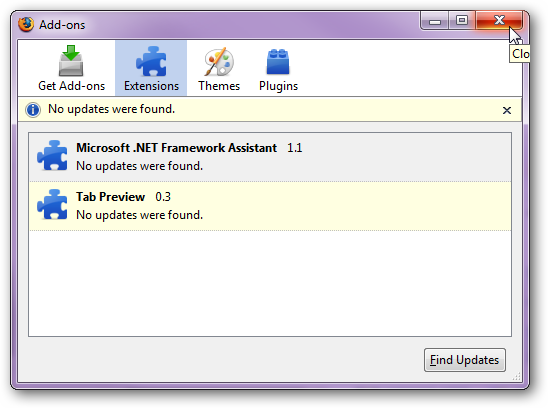 When it’s done you’ll be taken to the Extensions tab, you can look for updates (at this stage there aren’t any), or you can just close the thing. And suddenly when you hover over a window, you will be shown a preview below it. This extension does have a bit of a blink when changing between previewed tabs which can get a little annoying, but aside from that it adds a desperately required element to internet browsing. Serve with a side of discerning browsing for best results.